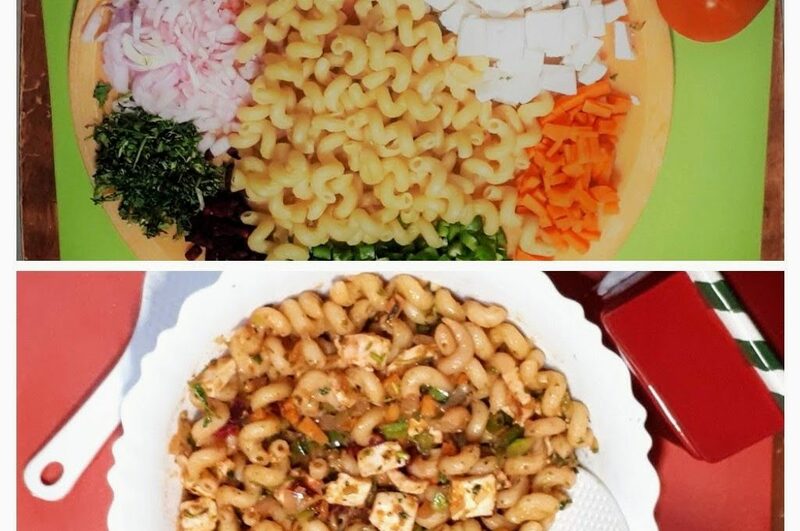 Veggie Paneer(cottage cheese) Pasta is a very simple quick and easy recipe and it is ready in less than 20-25 minutes. This veggie paneer pasta is very healthy, nutritious, and tasty. Veggie paneer pasta is with mixed veggies and with cottage cheese which makes the dish very colorful, healthy and tasty. Take a shallow pan or deep vessel add water, salt and1tsp oil and allow to boil than it starts boiling add the pasta to it and cook till it becomes soft when pasta ready strain with a strainer and rinse pasta with cold water drain it and drizzle some oil and keep aside. Heat oil and butter in a wok on high medium flame add the chopped garlic saute 1-2 second then add onion saute3-4 minutes until it turns pinkish in color. Add tomato paste, green chili, ginger paste saute 2-3minutes. Then add carrot, capsicum beetroot, stir 2-3minites to add red chili, black pepper, salt to taste then add cottage paneer cubes stir well 1-2 minutes, sprinkle little water and cook3-4minutes. Add cooked pasta and stir-fry until pasta combined with veggie and paneer. Veggie Paneer Pasta is ready garnish with fresh coriander or cilantro. SERVE HOT DELICIOUS VEGGIE PANEER PASTA!!! Tip: Vegan can use tofu cubes instead of cottage paneer.